Harbour Barbers Eastbourne is a beautiful new male grooming studio. 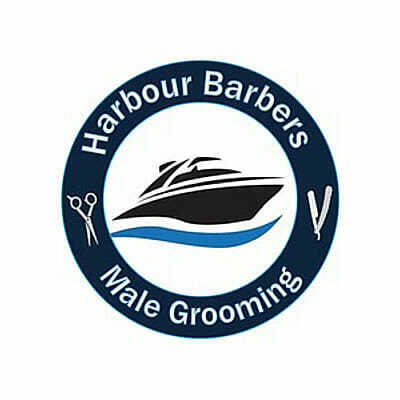 Harbour Barbers opened in September 2016 on the very picturesque Waterfront in Soveriegn Harbour, Eastbourne. The sleek and stylish shop design perfectly compliments it’s luxury location, with a magnificent, large picture window overlooking the harbour. Everybody at Direct Salon Supplies would like to wish Eileen and Peter and their team all the very best success in their new venture and thank them for choosing Direct Salon Furniture to supply their salon furniture and also supplies for their new shop. The salon furniture chosen by Eileen and Peter were Rem Emperor Barbers Chairs in Black and Rem Paragon 2 Seater Island Units in Alu Brosse, while the back wash unit they chose was the Rem Miranda Baltic Washpoint also in black upholstery. As you can see by the attached images this has to be one of the smartest looking barbers shops with one of the great views for customers to enjoy. This entry was posted in Barbers, Hairdressing Furniture. Bookmark the permalink.